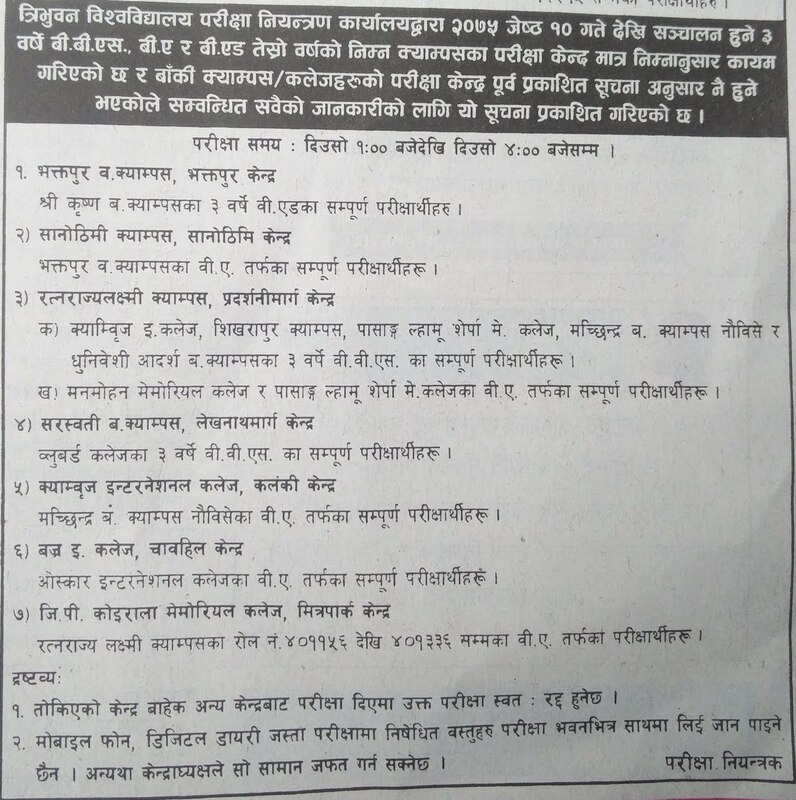 Today, May 22, 2018 [8 Jestha, 2075], Tribhuvan University [TU], Office of the controller of examination, Balkhu publishes a notice for the revised examination Centers for 3 Years Faculty Of Humanities and Social Science (BBA), Faculty Of Management (BBS) and Faculty Of Education (B.Ed.) for following colleges/campuses. The Examination Centers for other colleges/campuses will be the same according to the earlier published notice. The Examination time starts from 1:00 pm to 4:00 pm. See the notice image below - Examination Centers for 3 Years BBA, BBS and B.Ed. Published by TU. 3 Years BBA, BBS and B.Ed. 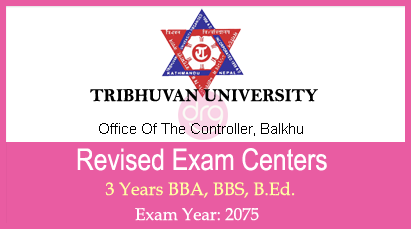 0 Response to "Revised Exam Centers For 3 Years BBA, BBS and B.Ed | Exam Year - 2075 | TU"